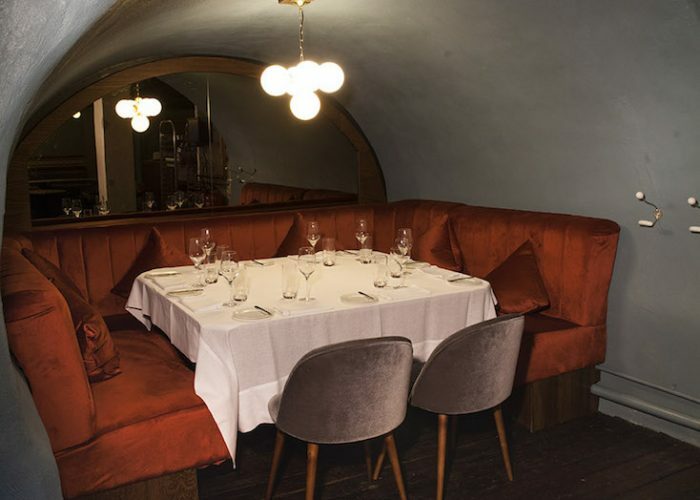 Luxury Private Dining Rooms at Noizé Restaurant - 39, Whitfield Street, Fitzrovia, London W1T 2SF. Thank you for your interest in Noizé Restaurant! 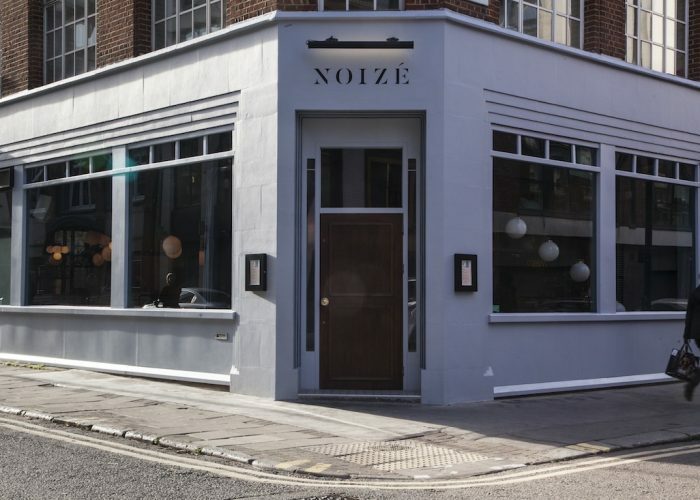 The Wine Bar at Noizé French restaurant, in the heart of Fitzrovia, is located on the lower ground floor and is available for lunches and dinners as well as for drinks receptions. The room is spacious with banquettes and chairs and several tables which can be moved easily to accommodate larger or smaller parties. 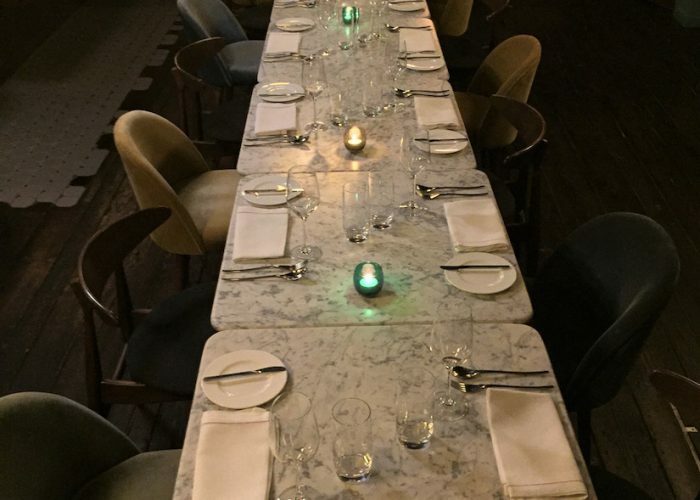 The Wine Bar can accommodate from 10 to 20 people on one table. 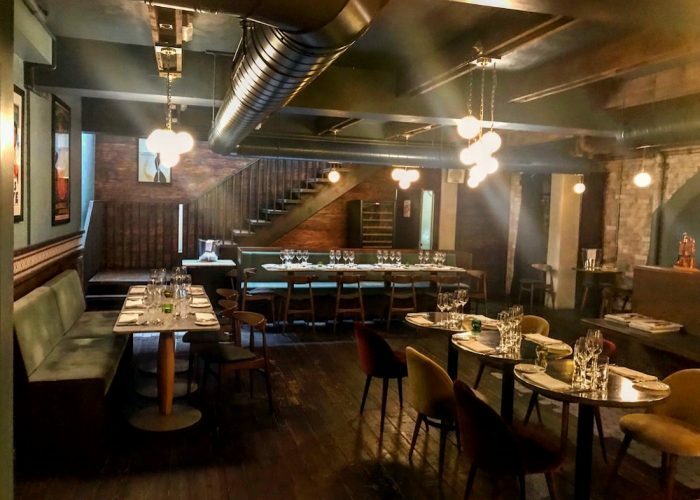 It is an ideal room for corporate hire, family events and wedding receptions up to 45 people sitting and up to 60 people for drinks and canapés standing. 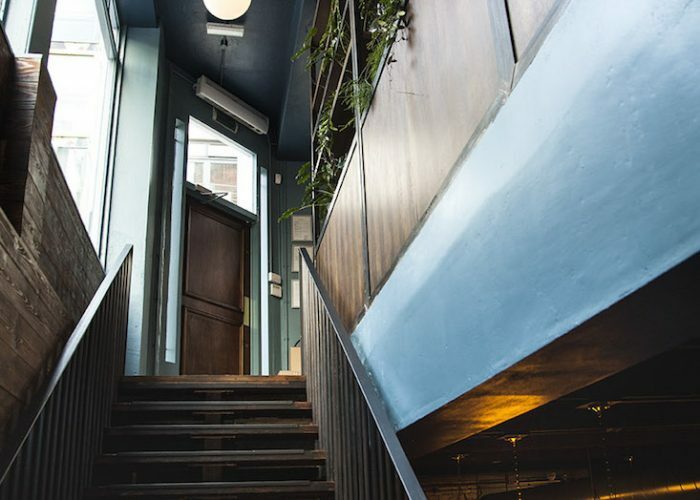 We also have a semi-private alcove for up to 8 people. Head Chef Daniel Mertl will be happy to create a menu from our A La Carte or if you have any special requests we are happy to create a bespoke menu. We welcome singers and have our own sound system.